For many folks, owning a house fulfills a lifelong desire so they would like to do everything they are able to to keep it in the greatest possible shape.As property owners, we need to be extremely cautious during the summer when extreme temperatures increase the risk of house fires.Yet you’d be astonished how many people fail to address important matters amid all the outdoor activities each summer. Taking more responsibility during the summer season is a must for everybody because seasonal habits during this time of the year like participating in a lot of outdoor activities with friends and families often make us forget important safety precautions. 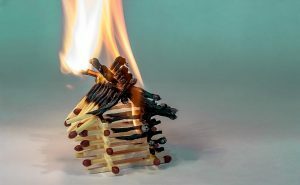 Needless to say, there’s nothing wrong with small or big parties during summer nevertheless these gatherings can lead to summer fires which could be easily avoided if we take the necessary steps to prevent them.Why don’t we look at a number of practical tips to steer clear of these potentially dangerous house fires. In the summertime, you most likely spend a lot of time cutting grass with your front yard mower. Virtually all lawn mowers utilize a gas tank and these significantly get hot when you use them.You’ll want to give your lawn mower time to cool off before you put it away in a place with poor circulation.No doubt you’re aware that people typically keep a special container intended for storing gasoline to implement with the lawn mower.This container must be kept in a spot where it won’t be exposed to excessive heat or sunlight. This is also true for any other machinery that operates on gasoline, regardless of whether you keep it inside or outside your house. The majority of us prefer having open-air summer barbecues with friends and family but there can be a lot of distractions. If you’re the cook, you may need to to look for stray children and pets running by the grill.Despite the fact that it is not a frequent occurrence, mishaps can happen especially if you leave an open flame unattended.People are inclined to leave the grill near the back door as it’s more handy to the kitchen but this can create a fire risk.A child may begin to feel the fire or perhaps a pet may bump against the grill and cause an out-of-control fire.Be sure to put the grill in a location that is not close to the house and, if you’re the cook, have a friend keep an eye on it when you need to step away. These simple steps are very standard and obvious but quite often they are being overlooked or even utterly ignored. Never forget that it is much easier to prevent a fire than it is to mend the damage created by one, and you can do this by watching out for fire hazards. Using these easy and beneficial guidelines, you will secure your property, yourself and your loved ones from trauma and danger.Paying attention to the happenings that are taking place in and around your house can aid in eliminating your risk of house fires and keep your summer pursuits easy going and fun.Remaining aware and giving proper attention to these types of things are the only methods you will need to preserve your house from potential fires and the families around you from disaster.